Proposed new standards would require accessible, safe, well-lit and dry facilities in new developments. To boost bicycling in Portland, the city is rewriting its code to improve bike parking facilities throughout the city. In a 91-page draft now out for public discussion, the Bureau of Planning and Sustainable proposes detailed new standards to make it easy and safe to park bicycles. The standards apply to new developments and redevelopments, not existing properties. The standards would provide for protecting bikes from rain and theft, with adequate lighting. They cover apartments, commercial facilities and other new developments and redevelopments. 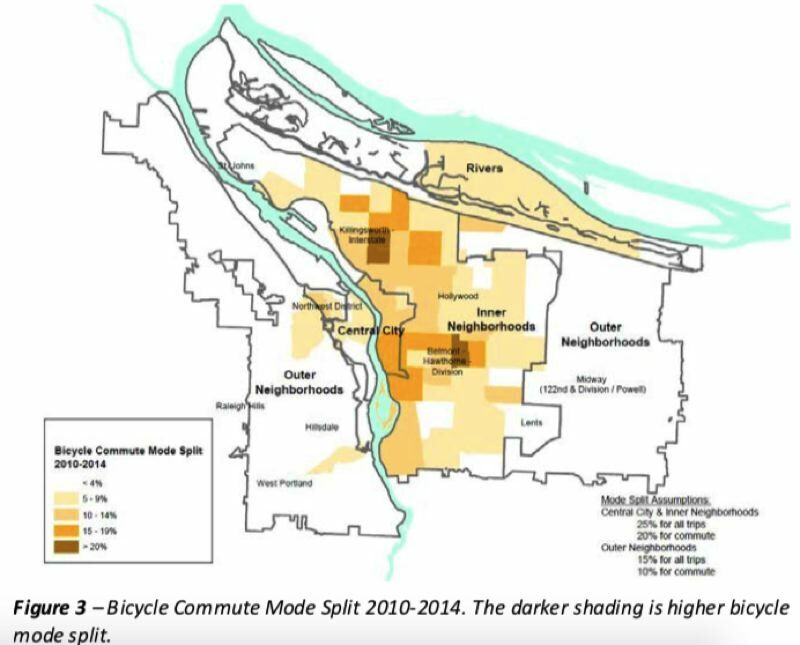 Proposed standards are more rigorous in closer-in neighborhoods where bicycle use is higher; 1.5 bike parking spaces per new apartment unit in closer-in areas, and 1 per unit in outer neighborhoods. While Portland boasts one of the highest rates of bicycle commuting among big U.S. cities, at about 7 percent of all daily trips, that rate has plateaued in recent years. The city has ambitions to boost bicycle to levels found only in select European cities, with people using bikes for one-fourth of all trips by 2030. Surveys showed one way to increase the use of bicycles is to promote easy and safe storage, especially at apartments. Nearly 3,000 bikes are reported stolen to the police each year, and that vastly understates the theft problem, since most people don't report to the police knowing little will come of it. City planners are including provisions to accommodate bikes of different sizes and charging facilities for electric bikes. Comments are due by Oct. 1. The proposal will go to the Planning and Sustainability Commission in November, followed by a likely City Council hearing and vote in spring of 2019.